Merrill, M.Y., Burkhardt-Holm, P., Chang, C.H.., Islam, M.S., Chang, Y. (editors), 2018. 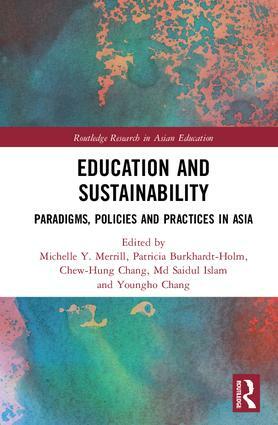 Education and Sustainability: Paradigms, Policies and Practices in Asia. Singapore: Routledge. 296 pages. ISBN: 978-1-138-68141-5).